I love to be motivated. And I love to motivate. But there are some days I am NOT motivated at all. Especially when it comes to money. 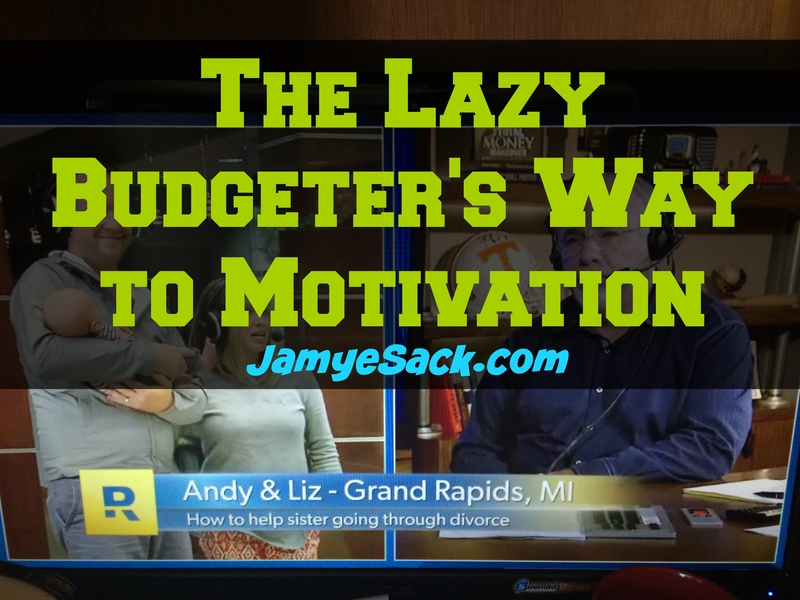 How do I stay motivated in finances? How do I not spend the money we make and instead send ooogles amount of money every month to interest and lenders? His name is Dave Ramsey. Our daughters think that we actually know him. And I’m pretty sure they think we hang out with him on occasion. Rest assured, we do not know him personally nor have we ever met him. Yet, I listen to almost 3 hours a day of that guy. Why? Because I SO desperately need the motivation. I listen to his daily podcast on my I-phone app. I do this while folding laundry, driving, working out, cleaning the house, while texting people…ha! So true! He’s usually on in the background. I might be a bit obsessed right now but if I don’t listen to his podcast, I quickly lose focus. This podcast is my lazy way to motivation. Anyone enjoy this guy like I do?! Comment below and say “I’m weird too!” How about getting your own copy today? I pinky-swear promise, you will not be disappointed. Hey, great way to think about inspiration. I have had some of my most creative thoughts while cleaning the bathroom or mopping the kitchen floor. I love to watch Christian programs while folding laundry. It is using some “mindless tasks” for being productive. It also makes the mindless tasks less mundane. I actually look forward to them (maybe not bathroom – but love a sparkly bathroom). That’s because I get a “treat” while doing these chores. Great #1 – It’s great that you are so honest. As a motivator, you need motivating. We all do. However, we fail when we think we have arrived and don’t need motivating. We all need it. Great #2 – It’s great that you have found a motivator that is not all theory, but very, very practical. He helps motivate by having others tell their stories of success!! Dave Ramsey is a great choice to motivate. Honest and real and stands on the solid foundation of faith — his being drawn from the Bible and his faith in Jesus Christ. Great #3 – It’s great that your kids are hearing the motivator much of the time when you hear him — so much so that they think you and your husband hang out with him and are good friends. You may not realize it, but you are teaching your children “you become like those you hang around.” Excellent message. I find him incredibly inspiring to want to get out of debt. I like you spend a lot of time listening to his podcasts! Great post and congrats on your motivational financial journey!